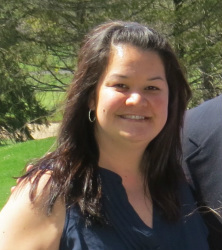 My name is Taryn and I live in Berks County, PA with my husband and two beautiful daughters. I began scrapbooking about 15 years ago! It's truly a passion of mine, and I love that I am preserving memories for my family for generations to come. I am a "retired" special education teacher. I taught students with autism for 8 years before becoming a SAHM. I've attended scrapbook retreats in the past, and just LOVED the idea of being able to get away for a few days with NO interruptions! The opportunity fell in our lap with this property, and the timing was right. So The Hamburg Hideaway was born! I look forward to serving as one of Pennsylvania's premier scrapbooking retreats for years to come!